Can Microsoft boost sales by cutting features? Since their launches in November of last year, The Microsoft Xbox One and Sony PlayStation 4 have been in a vicious battle for the #1 spot in gaming. So far, Sony's Playstation 4 has dominated the Xbox One by a fair margin in sales. The commanding lead the PS4 has is interesting, as in most ways, the hardware of both systems is quite similar. In fact,the specs for both systems are almost identical, except for the GPU, where the PS4 holds the clear advantage. Prior to launch, their was an insane amount of discussion about how much of a difference graphical superiority would actually have. But now that gamers have them in their hot little hands, both companies can answer that question clearly. Many of the cross-platform launch titles look better and are running at higher frame rates on the PS4. Following the end of year sales numbers, Microsoft has had enough and is working overtime to fix the Xbox One's weak point, at the expense of the Kinect. As ExtremeTech points out, "At the heart of both the PS4 and Xbox One is a semi-custom AMD APU (A CPU, GPU and embedded ram all on one chip, as seen in the image above). This 28nm part features an 8-core Jaguar CPU and a Radeon 7000-series GPU. The Xbox’s GPU is similar to the Bonaire core from the Radeon HD 7790, an entry-level PC graphics processor. The PS4, meanwhile, is rocking the mid-range Pitcairn core like you’d find in a Radeon HD 7870. Even though the Xbox One GPU is clocked a little higher, it can’t keep up with the PS4 in terms of raw power." But the real challenge beyond the sheer lack of power, is that Xbox One developers are handicapped by Microsoft in the development process. 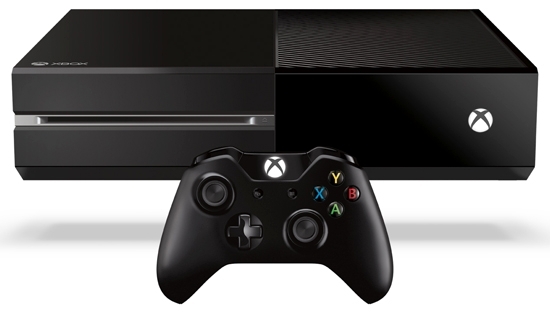 Microsoft requires that all games reserve 10% of the GPU’s capacity for the Kinect, even if the game doesn’t use it. That’s split up into 8% for the Kinect video features and 2% for Kinect voice. In an effort to give a boost to its console, Microsoft is expected to issue a system patch that removes the requirement that games save that 8% for Kinect video. Interestingly enough, Microsoft is only willing to give developers access to that 8% margin increase. They still demand a 2% reservation for the Kinect Voice commands, as the ability to control the system with voice commands was one of their biggest marketing pushes, and the system's hottest selling point this holiday. By stripping console features, Microsoft hopes to give the system enough extra oomph to help bridge the performance gap between it and the PS4. Newer PostMicrosoft 8.1 Update 1: Microsoft Admits Defeat. Finally.